Want a custom name in the display Menu for a video input? The Digital View LCD controllers listed below support renaming of the video input ports using the Controller Utility and TCP/IP Serial Utility applications available on the Digital View website. 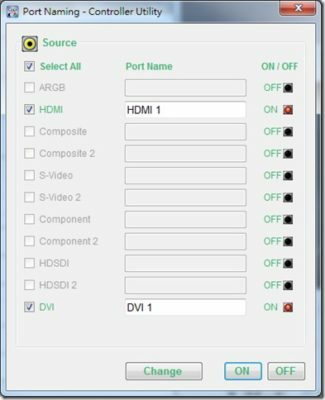 This enables users to rename a video input port from the default names such as DVI to a name of their choosing.